We listen very carefully to what your needs are, therefore, whatever we develop is one hundred percent customized to your business. We are committed to be there for you not only the first time but in a long term relationship. We are based on an efficient methodology to guarantee a high quality on the products and service you get. Logo development is one of CSMP main strengths. We take the time to brainstorm with detailed information from the customer, their industry, their target and competition. We develop logos that are reproducible in full color and one color, and that we are able to print or embroid on any surface or media. 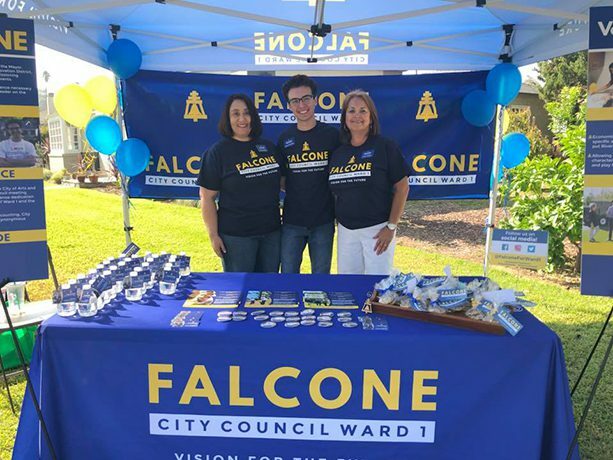 We have been branding FALCONE for City Council Ward 1 with all his collateral, apparel, promotional items and public displays. 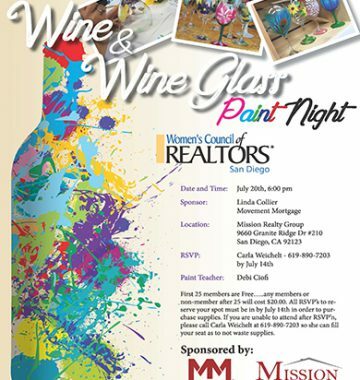 WCR from San Diego, Inland Empire, Simi Valley, Huntington Beach, and Orange County love our flyers. They know CSMP is only an email away and their flyers, event programs, banners, invitations, etc. are created in no time for their events. Website Development is another service CSMP provides on the Digital Marketing side of our business. 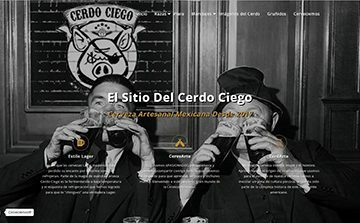 We service customers in USA and Mexico. 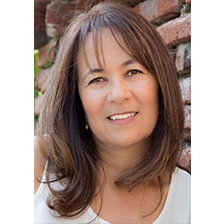 Gigi Mindreau-Banks is the co-owner of Creative Solutions Marketing and Printing. She has been in the printing and promotional products industry for 25 years and boasts a heritage of service and quality throughout the broad customer base with which she works. Gigi’s started out in the printing world as a graphic designer and due to her keen eye for detail required for this job, ensures that today, her customers’ receive products with the highest level of quality. The professional relationships within the supply chain of the Printing and Promotional Products industry ensures that Gigi will always provide her customers with the most competitive pricing, extraordinary levels of quality and an unbeatable level of service. Gigi is very active in the local business community. The Chamber of Commerce is her second home, where she has contributed to the organization over the 8 years she has been a member. 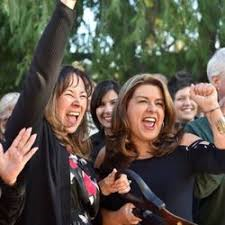 Some of the positions she has held include her service as Chair for the Ambassador Committee, while also serving on La Sierra Business Council and Business In Action Executive Committee of the Greater Riverside Chambers of Commerce. Her most recent assignment will see Gigi provide service as the Vice President of Community Development for this organization, when she assumes this role in April 1st 2017. 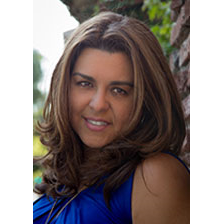 Gigi also serves the community thru several organizations, Soroptimist International of Corona, The National Charity League and she volunteers at the Fox Riverside Theater Foundation. Marcy has a Bachelor Degree in Advertising, an Associate Degree in Marketing, Business Administration and Computer Graphics plus over fifteen years experience in Direct Mail advertising. Marcy’s involvement in the community of Corona, California has giving her great recognition. She has proven professionalism, reliability and excellent work. In December 5th of 2006, Creative Solutions Marketing was recognized by the Corona Chamber of Commerce, the California State Assembly, the City Council of the City of Corona, The Riverside County Board of Supervisors, the State of California Senate and the Congress of the United States with the Service Industry Award of Excellence. 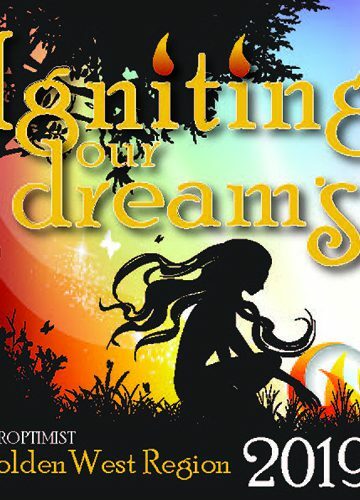 Other involvement throughout her business life have been: Director on the Board of the Corona Chamber of Commerce, President of The Leaders Club of the Inland Empire, President of TEAM-Corona, President of Soroptimist International of Corona, President of Toastmasters-4039 “Enthusiastic Embarkers” and one of the founders of Business Resource Connection. Stay tuned for marketing tips and industry trends.